55682-01 Lebra Covercraft MASK BUICK CENTURY 97-03. LeBra Front End Cover. This LeBra Front End Cover. This LeBra Front End Cover Fits LeBra Front End Cover. LeBra Hood Mini Mask. Value priced budget-friendly alternative to the LeBra full bra. 1997 Buick Century Custom,Limited. LeBra Front End Mask-55682-01 fits Buick Century. NO RESERVE. FRONT END COVER BY LeBRA. Easy Hood Access Your LeBra will fit your vehicle like a glove. 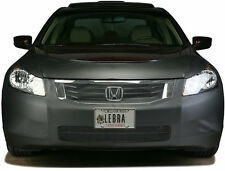 Each LeBra is specifically designed to your exact vehicle model. If your model has fog lights, special air-intakes or even pop-up headlights there is a LeBra for you. LeBra Front End Cover. This LeBra Front End Cover Fits LeBra Front End Cover. Install the LeBra Car Bra in temperatures of 70 degrees Fahrenheit or higher. Your LeBra is constructed of 'breathable' vinyl. LEBRA FRONT END COVER 2 pc system - COLOR: BLACK. Fits - Buick Century 1997 1998 1999 2000 2001 2002 2003 2004 2005. Perfectly Fits Your Vehicle And Provides A Glove Like, Aerodynamic Look, Made From Durable Micro-Perforated Leather Grain Vinyl. A LeBra Front End Cover provides an easy way to help protect your vehicles from the unexpected. 1989-90 Buick Century Custom Hood functional but not covered. 1989 Buick Century Estate Wagon Hood functional but not covered. If your model has fog lights, special air-intakes or even pop-up headlights there is a LeBra for you. Title : Covercraft LeBra Custom Front End Cover. This part generally fits Buick vehicles and includes models such as Century with the trims of Custom Sedan 4-Door, Limited Sedan 4-Door, Special Edition Sedan 4-Door. This is Custom Tailored Car Mask for Buick Century 1985-87 M129 Covercraft, Cover is New and unused. LeBra Hood Mini Mask. This LeBra Hood Mini Mask. This LeBra Hood Mini Mask Fits LeBra Hood Mini Mask. Economical alternative to a 2pc LeBra. 2000 Buick Regal GS,GSE,LS,LSE. 2001 Buick Regal GS,LS. If your model has fog lights, special air-intakes or even pop-up headlights there is a LeBra for you. Title : Covercraft LeBra Custom Front End Cover. This part generally fits Buick vehicles and includes models such as Century with the trims of Custom Coupe 2-Door, Custom Sedan 4-Door, Custom Wagon 4-Door, Estate Wagon Wagon 4-Door, Limited Coupe 2-Door, Limited Sedan 4-Door, Limited Wagon 4-Door. If your model has fog lights, special air-intakes or even pop-up headlights there is a LeBra for you. Title : Covercraft LeBra Custom Front End Cover. This part generally fits Buick vehicles and includes models such as Century with the trims of Custom Coupe 2-Door, Custom Sedan 4-Door, Custom Wagon 4-Door, Estate Wagon Wagon 4-Door, Limited Coupe 2-Door, Limited Sedan 4-Door, T-Type Coupe 2-Door, T-Type Sedan 4-Door. If your model has fog lights, special air-intakes or even pop-up headlights there is a LeBra for you. Title : Covercraft LeBra Custom Front End Cover. This part generally fits Buick vehicles and includes models such as Century with the trims of Custom Sedan 4-Door, Custom Wagon 4-Door, Special Sedan 4-Door, Special Wagon 4-Door. 1 roll clear paint protection headlight bumper hood guard. This item is made with rugged 8mil polyurethane which will give you long-lasting protection and almost invisible. It can also be sued on any surface such as headlights, tail lights, fog lights, side-marker lights, hood, or bumper that you wish to be protected. Fitted to cover all painted frontal surfaces, the two-piece LeBra All-Weather Car Bra is constructed with convenience in mind – you can open your hood with it in place, and the unit doesn’t need to be removed when it gets wet. Energy Suspension 3.1108R GM TRANSMISSIONMISSION MOUNT. WARNING : This product can expose you to chemicals including Styrene, which is known to the State of California to cause cancer. Made in U.S.A.
Trending at $34.94eBay determines this price through a machine learned model of the product's sale prices within the last 90 days. Part Number: MN920. This part generally fits Buick vehicles and includes models such as Century, Regal with the trims of 25th Anniversary Edition Sedan 4-Door, Custom Sedan 4-Door, GS Sedan 4-Door, GSE Sedan 4-Door, Limited Sedan 4-Door, LS Sedan 4-Door, LSE Sedan 4-Door. Covercraft Front End Mask: 1997-03 Fits BUICK CENTURY 4DR (MN Series) (MN920) Covercraft 'MN' Series masks are a smaller version of the popular Deflector-Protector. Mini-Masks use reinforced air foils to prevent flapping and lift. Winglet Type Style Carbon Fiber Front Bumper Lip Diffuser Splitters Canard-2610. Carbon fiber perspective flower water transfer printing. Custom fit most vehicles, product may require drilling holes and apply bolts to attach to your bumper. A durable U-shaped edge trim covers the leading edge and sides of the bra. It will not cause abrasion or oxidation. The magnetic bra can be left on a car permanently with only a few minutes of maintenance per month. High Quality PPF 60" x 6" Rear Bumper Applique Trunk Clear Bra DIY. Protect the rear bumper / trunk area from scratches when loading and unloading the trunk. If you are not happy with our product for any reason, let us buy it back from you. Protect the rear bumper / trunk area from scratches when loading and unloading the trunk. The mirror smooth finish of XPEL ULTIMATE ensures that no unwanted texture, commonly referred to as ?. orange-peel,?. This is the 4th Generation 3M Scotchguard and it is not produced with the backing no longer. We are informing you of this so that you do not think we sent you a non-3M product. This is the highest quality paint protection available on the market and the cost reflects this. This is the highest quality paint protection available on the market and the cost reflects this. Other materials are not as durable and nothing else will compete with the superior quality of a 3M Product. Manufacturer: LeBra. Protective Air Intake Screens Are An Integral Part Of The Mask, Not Separate, And They Are Sewn Into The Outside Of The Mask So There Are No Loose Pieces Of Material Inside To Abrade The Paint Surface. LEBRA FRONT END COVER 2 pc system - COLOR: BLACK. Fits 1997 1998 1999 2000 2001 2002 2003 2004 2005 Buick Century. Perfectly Fits Your Vehicle And Provides A Glove Like, Aerodynamic Look, Made From Durable Micro-Perforated Leather Grain Vinyl. 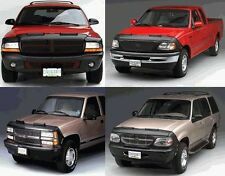 Each LeBra is specifically designed to your exact vehicle model. If your model has fog lights special air-intakes or even pop-up headlights there is a LeBra for you. Its stylish protection makes your vehicle look great! Warranty Type:Manufacturer Warranty. Warranty Duration:2 Year. Part Number: 55682-01. Warranty Type:Manufacturer Warranty. Warranty Duration:1 Year. Part Number: 55682-01. Look no further than LeBra! Each LeBra is specifically designed to your exact vehicle model. If your model has fog lights, special air-intakes or even pop-up headlights, there is a LeBra for you. Its stylish protection makes your vehicle look great!